On March 28, 2017, Arkansas Governor Asa Hutchinson signed SB 668 into law. The new law is a preemptive employment benefits law that prohibits subdivisions of the state, aka local governments, from requiring employers to provide more than State or Federal law requires. Although the law specifically states that it doesn’t override any minimum wage laws currently in effect, there are no local minimum wage laws in Arkansas. The law prohibits both minimum wage increases and mandatory sick leave laws on a local level. After failing to pass a National Sick Leave Law under the Obama administration, and finding it a lengthier process to pass statewide sick leave laws, progressive movements have moved to the local level to enact sick leave ordinances. In the last several years several cities and counties have passed mandatory sick leave laws. This creates a patchwork of sick leave laws that often leaves employers scrambling to maintain compliance. In New Jersey, for example, there are 13 local sick leave laws with varying requirements. Cook County Ill. has the Chicago Sick Leave Ordinance, The countywide ordinance, plus several city ordinances that have opted out of the County ordinance. In addition to the California Healthy Workplaces, Healthy Families act, which requires sick leave across the state, there are an additional seven local sick leave laws. There are more local minimum wage laws. Although it might be easy to assume that the main cost of paid sick leave to the business is the cost of the paid sick hours, that cost is typically a minor cost contained in sick leave laws. With most sick leave ordinances requiring small businesses, and often even those with 1 employee, to provide paid sick leave, it means that these businesses must also calculate for the cost of temporary and replacement help. This creates a double bill for sick leave. Additionally, sick leave ordinances typically assume employer guilt when a conflict arises so employers are required to maintain detailed records for long periods of time. Often the administrative duties of managing these records, maintaining them, and ensuring compliance with the ordinances costs much more than the actual sick leave. Finally, sick leave ordinances often have steep penalties for employers who fail to comply, or even those who fail to maintain accurate enough records. These penalties can range in the thousands of dollars per incident. Often employees can also pursue civil suits, wherein only the employer is liable to repay legal costs. If the employee is found to have a false claim, they are off the hook for paying the businesses legal costs. All of this adds up to a heavy cost of sick leave. 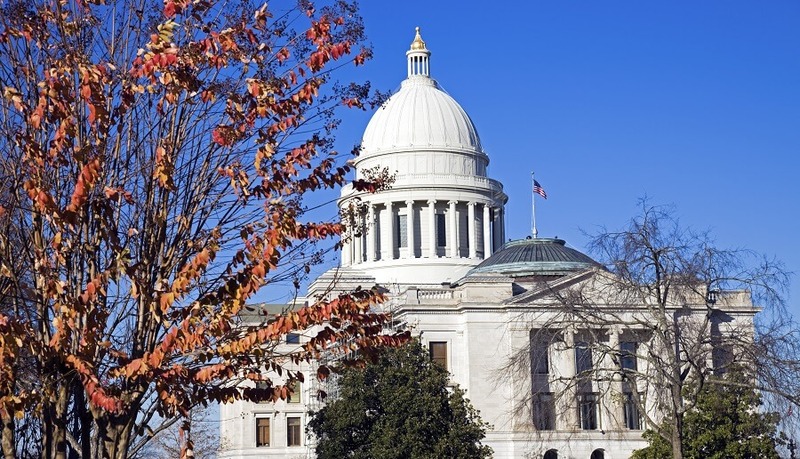 Arkansas is one of six states that have passed preemptive sick leave laws this year. Georgia, Iowa, Kentucky, Ohio and South Carolina have also passed preemptive laws. In addition both Minnesota and Pennsylvania lawmakers are reviewing preemptive sick leave laws.